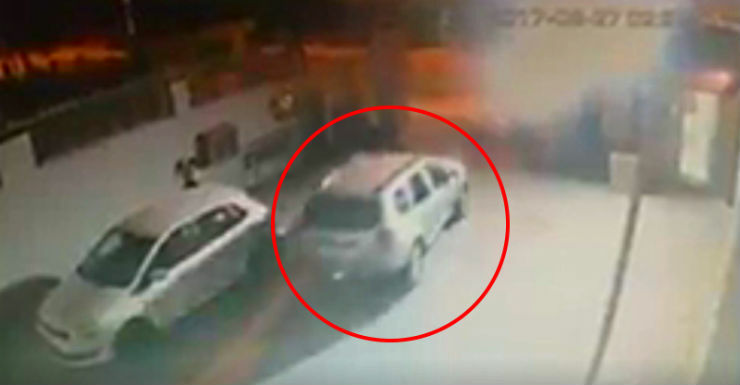 In what is a shocking incident, a gang of thieves stole 4 Renault Dusters from a service center in Noida’s sector 63. A group of 6 men entered the Renault Service Station on Sunday and held the guard hostage. After doing that, they walked into the garage and drove off with 4 Renault Dusters, each of them had the key present inside the car itself. Following this, one of the Dusters was found abandoned outside a fuel station in Garhmukteshwar in Hapur. The thieves had mistakenly filled diesel in a petrol Duster, and the car refused to start. The fuel station attendant managed to trace the owner of the petrol Duster as the SUV had the sticker of the apartment complex she lived in. According to the police, the incident took place around 3 am. The dealership in question is the Avia Auto Service Private Limited. The cars were caught on CCTV camera leaving the workshop compound. Four Renault Duster SUVs were lifted from a service centre in Sector 63. The thieves did not have to break in or harm anyone in the process. It looks like they were very aware about the premises. It could be the job of an insider. The thieves held a security guard hostage at the main gate, entered the premises, started the SUVs with the help of the keys inside the cars and drove them out of the service station. The manager of the service centre informed me on Sunday that my car is missing from their premises. The CCTV visuals show that the heist was performed in a very smooth manner, without any hindrance. The thieves also found the car keys inside the vehicle. The heist could not have been easier. He blames the dealership for their negligence. Keeping keys inside the car makes it very easy for them to be stolen and this is exactly what has happened here. What if this happens with you? Dealers don’t have liability in such a case . What you must do is file a FIR and then claim insurance of the vehicle.